This seemed like an inevitability. Today, Bandai Namco announced that the popular third-person action RPG, Dark Souls, would be enjoying a new release this year as Dark Souls: Remastered. Not only will players be able to discover the mysteries of Lordran once more in high-definition and 4K resolution (for compatible systems), but you'll also be able to enjoy jolly cooperation with even more friends. Based on the announcement from Bandai Namco, it sounds like the online player count will be increased for Dark Souls: Remastered from three (plus one invader) to six (with who knows how many invaders). This means you and up to five of your friends can team up to take on the Capra Demon, Bell Gargoyles, and Ornstein and Smough. 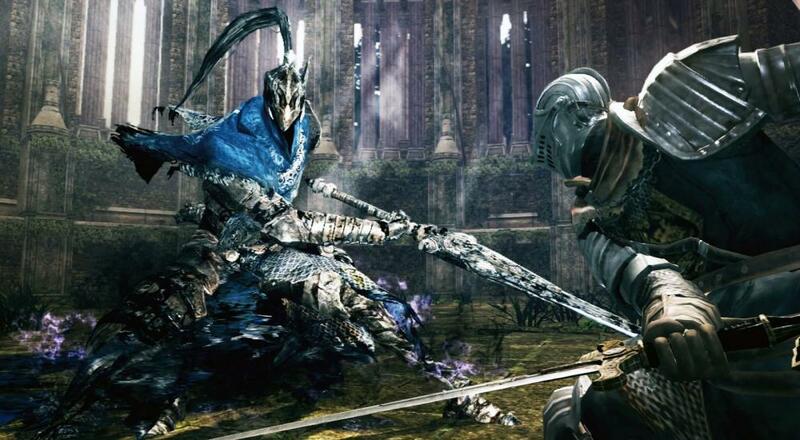 In addition to the base game, the remastered version will also include the "Artorias of the Abyss" DLC. Dark Souls: Remastered will come out on May 25, 2018 for PC, Nintendo Switch, PlayStation 4, and Xbox One. The game will run in 4K resolution on the PC, PlayStation 4 Pro, and Xbox One X, provided you've got all the necessary hardware (i.e., TV/monitor) to enjoy that output. We're currently awaiting confirmation from the publisher to ensure that the number of online co-op players is right, and will update our story if we hear anything different. If you live in Japan, then there's additional good news for you. It appears PlayStation 4 owners will be treated to a special Dark Souls Trilogy Box Set that not only includes all three Dark Souls game (plus DLC), but also the soundtracks for each, some appropriately-themed bookends, art prints, and three encyclopedias that include descriptions of every item in each game. It's unclear whether the set will make its way to the U.S. at this time, but here's hoping! Page created in 1.8199 seconds.